So what is Ulla? Ulla (pronounced “ul-e”) is the name of the town which has, in modern times, become known as Arugam Bay. Before tourism and surfing was popular here, Arugam Bay was the name given only to the actual beach and sea part of the bay used by local fisherman, but not of the area where people lived. If you ask a local of the area where they live, they will say Ulla. It never really causes a problem because most people who work in tourism, bus and tuk tuk drivers refer to it as Arugam Bay when dealing with visitors. Even Google maps makes no reference to its real name, preferring instead to use Arugam Bay to cover the entire area. 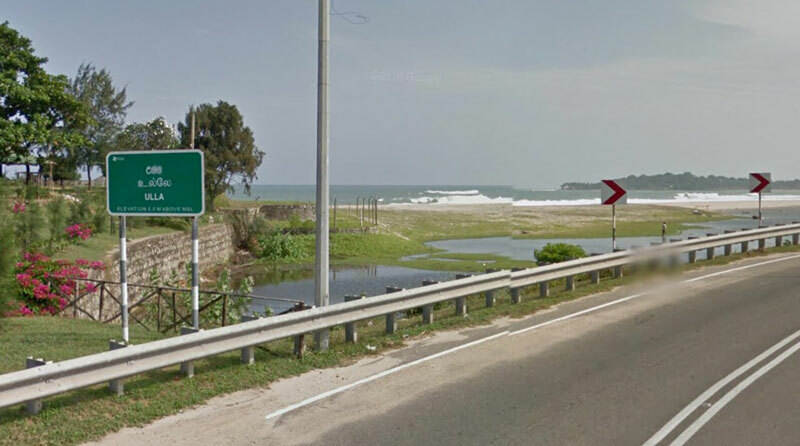 How long will it be before the sign in the photo is replaced with a more tourist friendly “Arugam Bay”?